Good Morning! 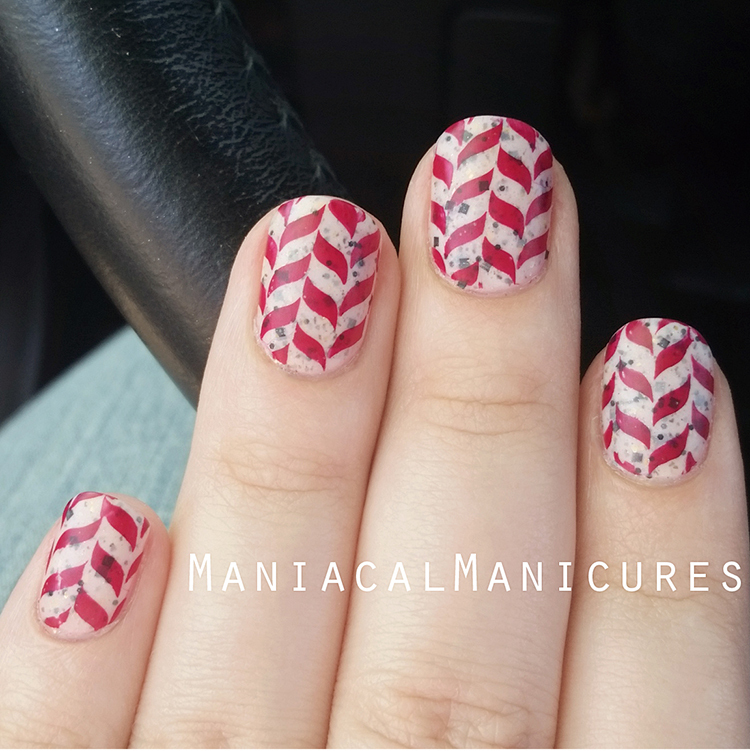 Today I have for you more nail art! This is a simple design but I love how it turned out like tiles or fabric. For my base I used Zoya "Naked Base" followed by two thin coats of HARE Polish "Seabunny." Using Bliss Kiss "Simply Peel" liquid latex barrier around my cuticles, I then stamped hēhē™ Stamping Plates "Harry Potter Collection - 027" using KBShimmer "Such A Vladass" with my UberChic "XL Clear Stamper." I first applied a coat of SuperChic Lacquer "Marvel Liquid Macro Topcoat" to seal in the design and provide protection from chipping, followed by Butter London "Matte Topcoat" to mattify the design. They weren't quite as matte as I'd hoped, but I still loved the effect. I was parked in my driveway when I took this picture, for any concerned viewers! Bliss Kiss can be found on Facebook, Instagram, Pinterest, Amazon, Beautometry, and their Website. Butter London can be found on Facebook, Twitter, Instagram, Pinterest, and their Website. UberChic Beauty can be found on Facebook, Twitter, Instagram, Pinterest, and their Website. HARE Polish is currently unavailable for purchase through their website. The owner has been experiencing health issues over the last year. There may still be some stock in international stocklists, but I don't know if this shade is available.